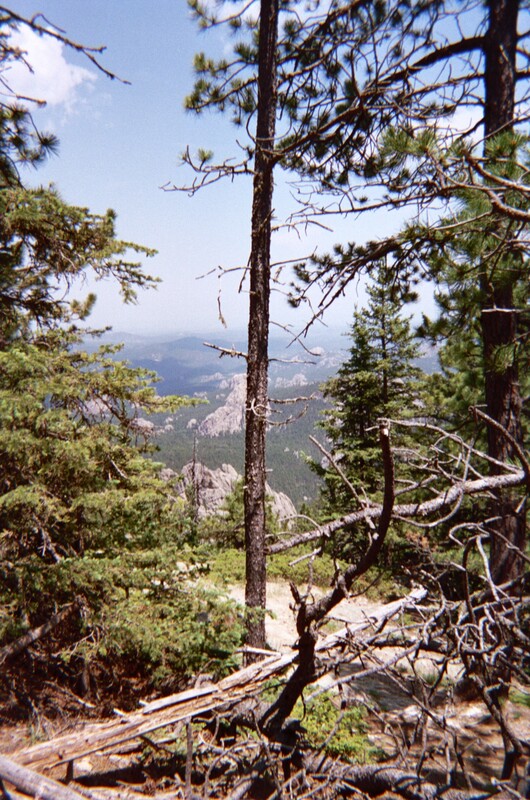 A view from the trail up Hinhan Kaga Paha (the top of the world), the Lakota name for Mount Harney in the sacred Black Hills of South Dakota. “No, not really” or “Nothing special,” are typical responses. Before the stoning begins for this apparent blasphemy, consider the rationale for why Earth Day was started and the necessity to continue this “holiday”. The reasons for both are the same – the planet is in a very precarious state and we humans are solely accountable for its condition. Had we been a responsible and ethical cohabitant, our Earth would be healthy and most of our fellow species not threatened by the looming largest extinction in recorded history due to habitat loss and climate change. Yes, the day does bring awareness but after 40 some years what have we learned? Perhaps our air and water are in better condition, but there are still major issues affecting these resources. Plus climate change, industrial agriculture (including the health and hunger problems it has wrought), deforestation, contemptuous wildlife management policies, along with a corrupt world political system, do not bode well. In fact it can easily be argued that the planet is in worse shape than ever. Most environmental stewards live Earth Day every day and so what we do on April 22nd is not “special” – it is ordinary. As for myself, I do not get “excited” about needing a special day to remind people about the damage we have done due to short-sightedness, greed, over-population, and over-consumption. My hope is that one day we find it not necessary to have an annual Earth Day. How much better would it be to find ourselves overjoyed at the blessings given by this planet, living in harmony with our fellow species, and understanding the intimate and intrinsic connection we have with our Earth Mother. Then each day would be a true Earth Day.